Pritunl is an open source OpenVPN feature rich client software. Pritunl makes the task to connect to the VPN easy as it has an inbuilt kill switch and an auto connect feature. Let's take a look at the steps to setup VPN using Pritunl on your computer. 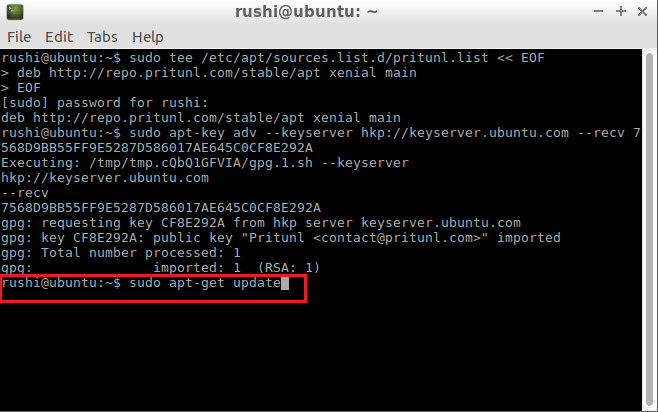 These commands and process shown here for installing Pritunl are for Ubuntu 16.04. 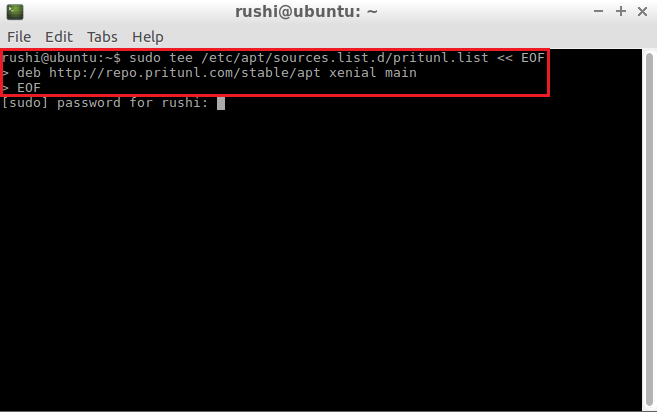 However, the process is very similar for other versions of Linux. To find the exact commands that best suits your Linux version, visit the official site of Pritunl. This may ask for your password. 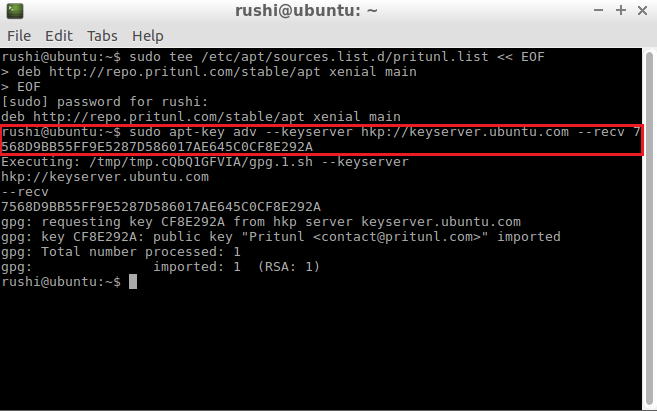 Enter the password and run the command by hitting enter. This completes the installation of Pritunl. Every IP that you purchased from us, generates a VPN profile. To connect to your purchased IP, we make use of this VPN profile. Here you will see how to download your VPN profile, and save it for later use. To be able to download the VPN profile, the minimum requirement for the internet browser is Internet Explorer 8. IE6 or 7 won't be able to download the VPN profile. We recommend that you use Google Chrome, Firefox and any other latest browser. Open your internet browser, go to http://secure.ipburger.com, and log in into your account. Once you are logged in, click on 'Services' box, that mentions the number of your active IP services. Click on the IP service which you want to set up on your computer. Click on the green button that says 'Download your VPN profile'. This will download the file as shown here for Google Chrome browser. Please navigate to downloads folder as shown below and ensure that your IP profile file is there. Do not open the file and let it be as it is in the downloads. Great! Now you have your IP profile file with you, saved in your downloads folder. We will use this file in the later steps. Once installed, open Pritunl software and click on 'Import Profile'. Now, select the OVPN profile that was downloaded in the second step in your downloads folder. Once imported, the window should appear this way. Now, click on the options button as shown in the above screenshot. 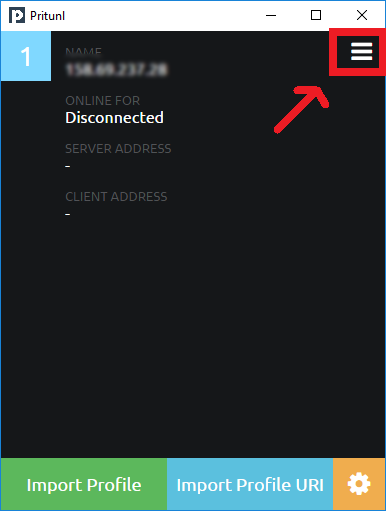 Click on 'Connect' and this will connect you to the Internet using the VPN. This inbuilt feature of Pritunl will help you to auto connect to the Internet through the VPN every time you start your machine. Follow the below mentioned steps to setup auto start. 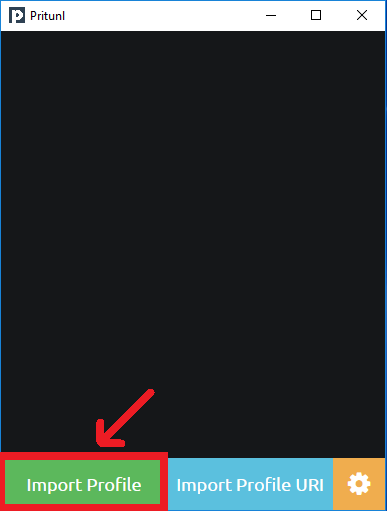 Click on the options button on the top right corner of the Pritunl window. This will show 'Autostart Off'. Cick on the option. This will show the options to turn on and off the service. Click 'On'. This will configure Pritunl to auto start the VPN service every time you turn on your machine. 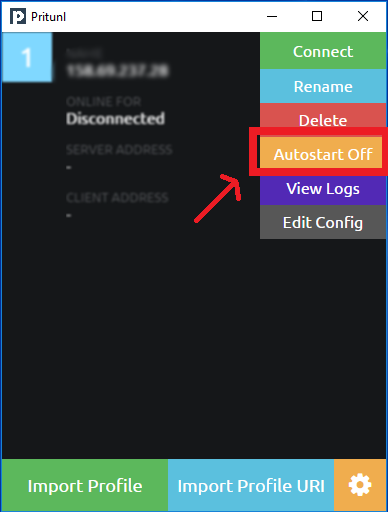 The Auto start option should look as in the below screenshot. Many of our users have more than one service registered with us. It is possible and is easy to use multiple IPs on a single device. Now, you can connect any one of these IPs at a time. Make sure, you disconnect one IP before you connect to another one. Some of our clients prefer creating multiple user accounts on the computer and use one IP from each user account. If you are doing so, please make sure you manually disconnect from one IP, or completely log out of the user account before logging into another one and connect to another IP. As you completely log out of one user account, Pritunl would automatically disconnect you. But if you simply just switch the user, without logging out, you will stay connected in the background. If one IP stays connected (even in another user account on the device), the second IP won't work unless the first one is disconnected.